The International Committee was less about campaigning and more about communication – just wanting to meet women who were working in publishing in other countries. I think we felt that we were actually very lucky in where we were. We had, well we had jobs for a start off, we had feminist publishers, we had feminist bookshops, even though we were twice as many and half as powerful there were still quite a lot of us. And, I think we felt it was a sort of solidarity thing that this was actually our way of being in the wider world. We did feel slightly missionary minded in that there were groups kind of springing up. Women in Publishing was by far the most established. And so I think we hoped, you know, we would go over, make links with other groups, or if there weren’t groups with women who wanted groups in order to help them to set up within their own industry, the publishing industry within their own country. 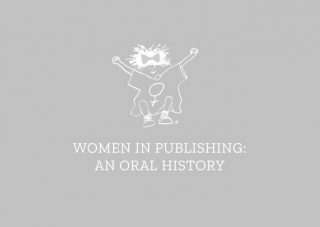 And also I think we hoped that would actually be a plus for Women in Publishing, because at the time there were lots of debates in the feminist groups, the debates at the time were very much about the sort of power structures and the lack of diversity in UK publishing. You know, we were white, middle class but also the colonialism of English language publishing all emanating from London, Oxford and Cambridge and being sent out to the colonies. So the idea of actually helping indigenous publishing was a political point I think.